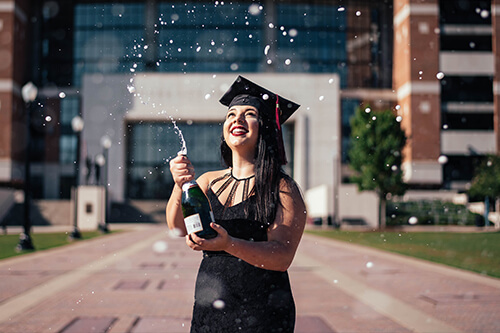 There are so many unique venues and things to do for your college graduation celbration. But no matter what you decide to do in terms of activities, we have a major suggestion that we know will make your reminiscing that much more enjoyable. Booking a limo bus from Chi Town Limo will take your event to the next level. But don't just take our word for it, experience will be the key. For one thing, don't you want to concentrate on your friends during your last night together? You don't want to carpool, that will definitely take away from the moment. Our solution will have everyone together for the entire evening. That way a good time is the only thing you will need to worry about. And we have a number of different sizes of vehicles so we are sure we have something that will accommodate your group perfectly. And there is another major positive to renting one of our phenomenal vehicles. Since this is a celebration and a goodbye many of the folks involved will more than likely be consuming some libations. And that means running the risk of a possible DUI. Why even run this risk at all? So, leave the driving to certified professional chauffeur. You and your group will be picked up where you specify. But the real fun begins when everyone steps on board. Your group is going to love everything about the amenities including the very comfortable leather seating, custom wood flooring for dancing as well as a dancing pole. The entertainment options are numerous and plentiful. Everyone is going to have a blast with the premium, high quality sound system with CD/iPod/MP3 inputs. The high definition flat screens provides a different type of entertainment and has DVD capabilities. And the LED party lighting inside and outside will set the tone. And think about the convenience. Just make a list of the venues that you want to visit and your group will be dropped off near each one as well as picked up when you desire. Remember, we are here to serve you and your satisfaction is our number one goal. If you are not happy, we won't be either. If you think of a place you would like to visit that is not on your itinerary, feel free to ask your driver to stop, we are very flexible. Our professional drivers are very knowledgeable about your area so there will be no getting lost. But just in case, all of our vehicles have GPS. And don't worry about the condition of our vehicles, they are always kept in very good running condition. Now that we have convinced you of the positives of our transportation solution, you are probably wondering what your next step should be. We recommend that you contact one of our friendly customer service representatives. Feel free to ask any questions you might have. Talk to one of our agents about your needs and they will fit you to the perfect vehicle. Once they determine which vehicle is best and if your date of service is available, they will help you through the easy and painless booking process. 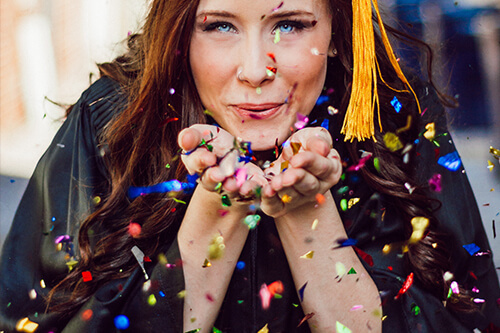 We look forward to hearing from you and servicing your college graduation party.